Australia’s national broadband network is having effects no one foresaw. These ripple are undermining the position of Australia’s biggest phone companies. Australia is a cautionary tale. Every country in the world is going to have to deal with the same thing. 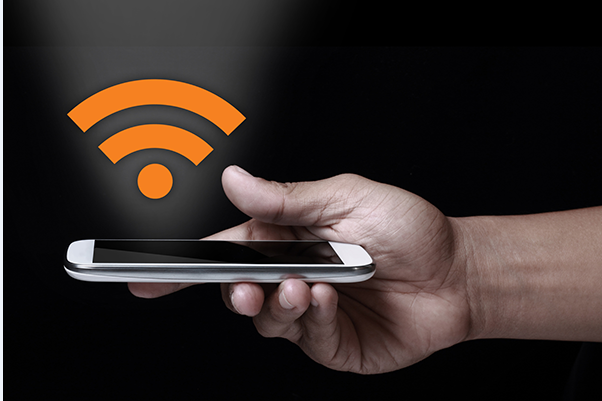 Mobile Broadband may eliminate the need for fixed broadband networks. Australia’s government is currently rolling out the NBN - the Next Generation Broadband Network. Started in 2007, the NBN project was heralded by the government of the day as Australia’s biggest ever infrastructure project. Unfortunately, successive administrations have changed their mind and the policy above the rollout of the NBN so many times that what is now being delivered is a shadow of what was originally intended. The results highlight not just how governments can crush effective technology investments, but also raise an important point about alternatives to fixed broadband. The lessons don’t just apply to Australia – they will be seen in every market around the world. In short, 5G mobile data will offer a viable alternative to even optical fiber fixed broadband speeds, and could make fixed networks redundant. In Australia, this could mean that the $60 billion of public money the government has spent is wasted. Mobile broadband services are already available in Australia, even as the fixed network continues to be rolled out. The NBN was originally forecast to provide fiber to every house in Australia at a cost of around $40 billion Australian dollars. Rough numbers, that’s a cost of about $2000 per person, about $6000 per household to deliver optical fiber based broadband to the home. Initiated a decade ago, under the Australian Labor Party, the NBN rollout plan was generally received well by the public, on the tacit assumption that fiber would eventually have to be rolled out everywhere, anyway. The NBN offered the change that, with the government delivering the infrastructure, every house in Australia would be connected to the fiber network. The alternative was unappealing : If left to private companies to deliver this sort of facility, two tier system may have developed. That’s something which has been seen with the deployment of mobile networks Down Under. Even now, rural areas (which are substantial in Australia as you can imagine) receive slower data speeds and worse coverage than the networks the phone companies have built in city and suburban areas. The current Prime Minister, Malcolm Turnbull had a key part to play in the current problems with the NBN. In the early days of Labour trying to roll the NBN out, Turnbull was shadow communications minister. Turnbull and the rival Australian Liberal parties campaigned at the last general election on an NBN policy which offered to cut the cost and rollout time associated the new technology. Their fundamental adaptation of the plan was to deliver fiber to the node and leave existing copper cables going in to homes. Under the Liberals, they said, copper phone wires already in place would be used to traverse the last mile to each home, providing adequate bandwidth – up to 100 Mbps and a fraction of the cost. (Remember, Labour wanted to take Optical Fiber to the home.) When the Liberal party as elected, they took their success as a mandate for the policy and implemented it. In the meantime, 4G data pricing offered by the mobile networks was getting by the year. The amount of data consumed by people in their phone plans was increasing at a rate of around 70% per annum. The amount of data provided at a standard price point increased at about 100% per year. In the 10 years since the plan to deliver the NBN was launched, the difference between the growth in allowances and demand added up. Now, mobile broadband plan with ‘4G plus’ (effectively data speeds of up to 100Mbps on mobile networks) are available with costs comparable to fixed broadband alternatives. At the same time, as with many government projects, the cost of delivering the NBN has spiraled out of control. They are currently forecast to spend $60 billion dollars to deliver it. In 2020, 5G data will become available. It will offer download speeds which are 100 times better than those available now with 4G. It will represent effectively unlimited bandwidth and capacity. 4G pricing will have fallen four-fold, again, between now and then. The resulting economics raises real questions about the viability of the fixed broadband Next Generation network which will be in place. In addition, incentives which are in place for the mobile phone companies are likely to drive the take up of the mobile alternatives to the NBN, too. The NBN is the sole provider of wholesale fixed broadband access. All Telcoshave to buy it from the NBN and sell it for a small profit - roughly 20% of the retail price. When they sell their mobile broadband connections, they keep the full amount -i.e. 100% of the retail price. They will make far more money selling mobile broadband than fixed NBN alternatives. The involvement of the government in Australia’s NBN debacle has highlighted this issue early in that country. The economics of mobile vs fixed will be a subject that each nation has toconfront at some point. The effectively infinite capacity of 5G networks could lay waste to the money which has been spent burying wires and fiber in every country around the world.